Domaine Charbonniere is a contender for the best value wine in Chateauneuf du Pape. The wines produced at the domaine pair high quality with character and fair pricing. In today’s world, that combination is harder to find than ever. The domaine is named after a small parcel of vines called, Carboniere. Carboniere is loosely translated from French into an area of burning charcoal. Charbonniere was founded very early in the 20th century when the vineyards were purchased in 1912 by Eugene Maret. Eugene Maret was Michael Maret’s grandfather. Michel Maret is the third generation of the family to manage the Southern Rhone Valley estate. He took over running Domaine Charbonniere in 1973. His daughters joined him at Domaine Charbonniere in 2004, helping him manage the vineyard. Today, Caroline Maret and Veronique Maret both help manage the property. Domaine Charbonniere controls 17.5 hectares of vines planted in the Chateauneuf du Pape appellation for the production of red wine and .5 hectares for making white wine. They also own 9.7 hectares of vines in Vacqueyras and Cotes du Rhone. Their vineyards are scattered throughout Chateauneuf du Pape, with their best parcels being located in the La Crau sector. Because their vineyard parcels are in varied locations, they have a myriad of terroirs from sand, to clay to rock soils that are common in La Crau. To produce the wines, all the fruit is completely destemmed and the wine is aged in a combination of foudres or small, French oak barrels for 12 – 18 months, depending on the wine and the vintage characteristics. The best vintages of Domaine Charbonniere are: 2018, 2017, 2016, 2015, 2012, 2010, 2009, 2007, 2005, 2001, 2000 and 1998. 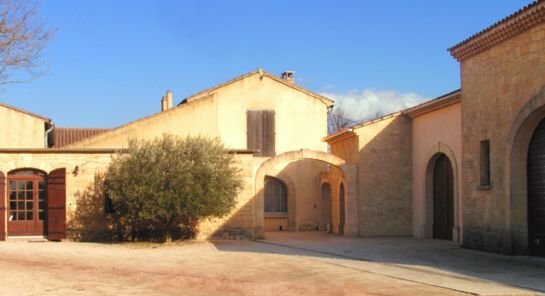 Currently Domaine Charbonniere produces 5 different red Chateauneuf du Pape wines and 1 Chateauneuf du Pape Blanc. Domaine Charbonniere Chateauneuf du Pape – 70% Grenache, 15% Syrah and 15% Mourvedre create the blend. This is their entry level wine. Close to 4,250 cases are produced each vintage. Domaine Charbonniere Cuvee Mourre des Perdrix is made blending from 70% Grenache, 15% Mourvedre and 15% Syrah from vines ranging from 30-50 years of age. The wine is aged in foudres and oak barrels for 12 to 18 months. The production is close to 650 cases per year. Domaine Charbonniere Cuvee Singularis is the most recent addition to their continuing portfolio of wine. Produced from close to 100% old vine Grenache, the grapes come from a tiny parcel of vines planted quite close to the Hautes Brusquieres lieu-dit. Domaine Charbonniere Les Hautes Brusquieres Cuvee Speciale comes from blending from 60% Grenache and 40% Syrah from vines that range in age from 30 to 50 years. The wine is aged in a combination of demi-muids and foudres. Not much wine is made. On average only 350 cases are made every year. Domaine Charbonniere Cuvee Vieilles Vignes comes from old vine Grenache with vines that are close to 90 years old. The Grenache is blended with between 5% to 10% Mourvedre. The wine is aged foudres and a small amount of new, French oak barrels for 12 to 18 months. The production is tiny at close to 350 cases of wine per year. Domaine Charbonniere Blanc comes from a blend of 40% Grenache Blanc, 40% Roussanne and 20% Clairette. The production is close to 175 cases per year. Domaine Charbonniere l’Envol made from a blend of 70% Mourvedre and 30% Grenache was only produced in the 2009 and 2010 vintages. Domaine Charbonniere can be enjoyed on the young side. Young vintages can be popped and poured, or decanted for between 1-2 hours.This allows the wine to soften and open its perfume. Older vintages might need very little decanting, just enough to remove the sediment. Domaine Charbonniere is usually better with 2-5 years of bottle age. Of course that can vary slightly, depending on the vintage. In the best vintages the wine should be consumed within 4-20 years after the vintage. Domaine Charbonniere is best served at 15.5 degrees Celsius, 60 degrees Fahrenheit. The cool, almost cellar temperature gives the wine more freshness and lift. Domaine Charbonniere is best served with all types of classic meat dishes, veal, pork, beef, lamb, duck, game, roast chicken, roasted, braised, stewed dishes, barbecue, sausage, eggplant, tomato, cassoulet and cheese. Domaine Charbonniere is also good with Asian dishes, hearty fish courses like tuna, mushrooms pasta, eggplant and tomatoes. The white wine of Domaine Charbonniere is best served with a myriad of different seafood dishes, shellfish, crab, lobster, sushi, sashimi, chicken, pork and veal, as well as Asian cuisine. Deep ruby in color, the concentrated wine is lusciously textured, round, sweet and sensuous. The silky tannins and layers of sweet, ripe, pure cherries feels, tastes, and smells beguiling. The wine was produced from 90% old vine Grenache tempered with 10% Mourvedre. The depth of flavor is even more noticeable than the dark color the wine is concentrated, full bodied and intense. Spicy, meaty, smoky, with layers of peppered black raspberries at every turn, give this time in the cellar for the Syrah to further develop and the tannins will soften as well. This should age nicely. The wine was produced using a blend of 60% Grenache and 40% Syrah. Combining freshness, elegance and peppery, spicy, red fruits with that Southern Rhone herbal quality, the wine leaves you with a fabulous, peppery kick in the finish. The blend was produced from 69% Grenache 15% Syrah, 15% Mourvedre and 1% Cinsault. Spice box aromas are perfect for the rich, deep, fresh, sweet, round, supple textured red berries. The peppery, plummy, soft textured finish tastes as good as it feels. Drink this young or age it for more secondary nuances. As you would expect, there is real old vine intensity of flavor and concentration here. The Grenache is quite peppery, the finish is long and the fruit in the end note has a real kick to it. Soft textured, with elegant, silky tannins, concentration of flavor and loads of sweet, ripe, juicy, peppery cherries in the finish The wine was produced from 70% Grenache 15% Syrah and 15% Mourvedre. With equal amounts of earth and pepper, the wine is forward, soft and silky with polished tannins and a blast of spicy, sweet, red fruits in the finish. The entry level of wine here, offers good value and it's ready to drink on release. Black cherries, fennel and stone notes get things going. The wine is medium bodied, forward and leaves with polished, spicy black raspberries in the finish. Earthy red fruits, with a fresh thyme accent and loads of ripe sweet cherries create a silky, medium bodied wine of pleasure. Polished, silky, red fruits with sweetness and round sensations on the mid palate, finishing with a soft, ripe, red fruit filled finish. Soft, silky and smooth red fruits with lush textures and a forward approach. The wine is a blend of 70% Grenache and an even split of Syrah and Mourvedre. Earthy, spicy and dark, the unusual, high percentage of Syrah in the blend adds more fat, freshness and peppery spices than usual to the wine. The wine is split evenly between Grenache and Syrah in the blend. Notes of licorice and black cherry are open from the start. On the palate, the wine is medium bodied, sweet and forward. 60% Grenache, 20% Syrah and 20% Mourvedre create the blend. Supple, soft fruits with intensity and depth, sweet, ripe tannins and a spicy, lush character in finish. From a blend of 90% Grenache and 10% Mourvedre, the wine reached 15.5% alcohol. Soft, elegant and refined kirsch and spicy finish came from a blend of 70% Grenache, 15% Mourvedre and 15% Syrah. Good color, with silky tannins, freshness, and ripe, zippy, pepper black and blue fruits are already open and ready for business. From 60% Grenache 39% Syrah and 1% Counoise. From a blend of 70% Grenache, 15% Mourvedre and 15% Syrah, the wine serves a bushel of sweet ripe cherries in every sip, coupled with fresh herbs, licorice and pliant textures. Silky, polished and smooth, the fresh, sweet, black raspberries make an appearance and leave a long impression in the finish. From a blend of 60% Grenache, 39% Syrah and 1% Counoise, the wine rechaed 15.5% alcohol. Spicy berries, soft, lusty textures are topped by peppery, fresh, spicy red fruits and herbs in the finish. From 70% Grenache, 15% Mourvedre and 15% Syrah, the wine opens with notes of barbecue, black raspberry and herbs. Elegantly elegant textured, with a medium bodied finish, the wine serves up a delicious kirsch note in the finish. Blending 90% Grenache with 10% Mourvedre produce a plush, polished black cherry, spice and peppery wine. Open in style, easy drinking silky, fresh fruits appear with a touch of dryness in the 15.5% alcohol finish. Showing silky, fleshy, polished, pure cherries and a long, finish packed with a mélange of ripe, spicy, sweet, juicy, lush fruits. At this level of quality, this wine sells for a song. Deep in color, with aromas of fresh cracked black pepper, licorice, jam, blackberry, plum and earth. Round and full bodied, with tannin to age, this will be better after a year or two in the cellar. Concentrated with layers of deep, ripe, fleshy, ripe, intense cherries, pepper and spice, the wine is clean, fresh, long and impressive. It is difficult to find that many wines this good that still sell for a very fair price. Packed with jammy black raspberry, kirsch, black cherry and fresh Provencal herbs, this rich, ripe, full bodied wine offers ample freshness, ripeness and concentration. Earth, herbs, fresh cherries and spice, this medium bodied, elegant, supple textured, Chateauneuf du Pape should drink well young. This wine remains one of the best values in Chateauneuf du Pape and one whiff and sip reminded me why. Filled with black pepper, black raspberry, kirsch and jam, this soft, lush, deep wine ends with layers of spicy, black raspberries. Full bodied, lushly textured, dark in color, with layers of ripe, sweet, black cherry, licorice, kirsch, jam and garrigue. This is already drinking great. There is a lot to like about this wine, including the price! Jammy blackberry, stone, earth, Provencal herbs, black rasperry jam and spice aromas are all over the place. This voluptuous, full bodied wine finishes with a big mouthful of sweet, jammy berries and kirsch. This is worth buying by the case! Much better than the previous, bottle. Popped & poured, as the wine opened in the glass, the sensual textures really took hold. The ripe, juicy, spicy, kirsch and black cherry shined, from start to finish. Concentrated, full bodied and with no hard edges, this is drinking in the sweet spot. Ready to go at 9 years of age. Soft, silky, kirsch fruits, garrigue and peppery notes. Medium bodied, elegant and developed, I'm drinking my remaining bottles over the next 5 years or so. I really like the way this feels and tastes, but it does not seem to have a lot of stuffing remaining for long term aging. This wine seems to be on a faster evolutionary curve than it was, only a few short years ago. Filled with kirsch, iodine, chocolate, licorice, dark berry filled preserves, earth and pepper aromas, this rich, full bodied, intense, ripe wine ends with dense, powerful, peppery, jammy berries. This remains one of the top values for 98 Chateauneuf du Pape.